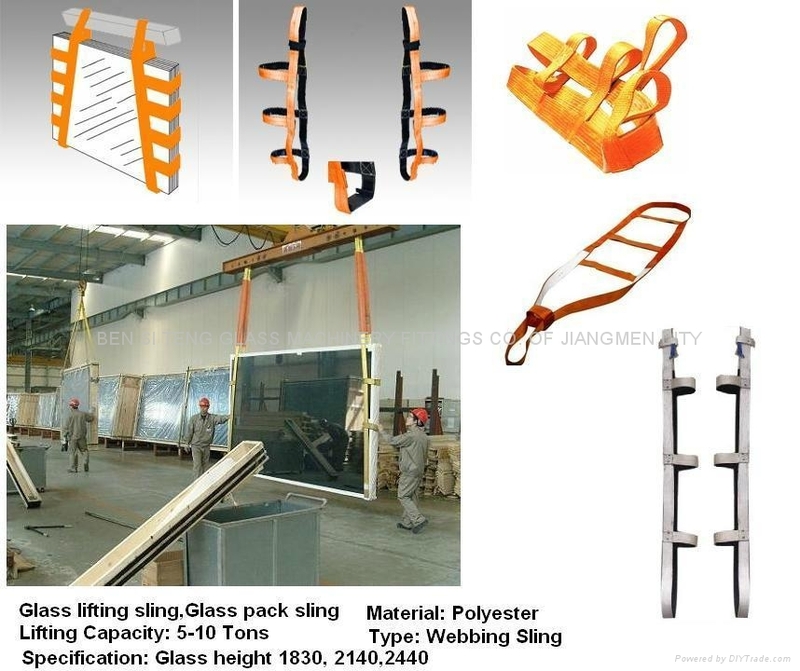 Glass Pack Sling allow the sow the sling user to maneuver and stack glass panels or wood crates in tight areas. These slings are protected from load edges by various types of wear protection material and feature side bridles for additional load control. Flat-Pak Slings are designed to fit your requirements. Your requirements can best be handled by contacting us for further information.